As this is a blank e-book there will of course be nothing in it yet! I should add that if you select ‘Preview’ from the View menu you will get a window which shows a preview of the file you are editing, broadly analogous to the ‘Book View’ window. However the Preview window updates in real time as you edit your file and contains other tools as well which I have not covered. Dragging the ‘Preview’ panel out of the Sigil window so that it displays in a window of its own might be useful so you can see the effects of your editing as you go along. 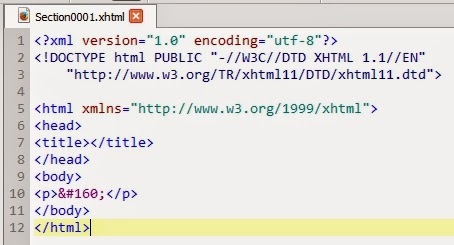 It contains a link to a file which specifies the XML namespace, a convention to explain the meaning of terms used in XML which can vary from one implementation to another. YOU NEED DO NOTHING to this line. In this case the header contains just an empty <title> tag. 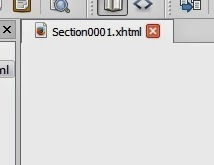 There must be a <title> tag in every html file, even if, as in this case, it is empty. A title is important for a web page, which after all is what html was originally designed for, but, as the <title> isn’t displayed anywhere in an e-book, this tag can be left exactly as it is. YOU NEED DO NOTHING, just leave it blank. In this case the body contains just a single paragraph, enclosed by an opening <p> tag and a closing </p> tag. The text of the paragraph is just &#160; which is the special html code for a non-breaking space. The chapter then ends with a closing </html> tag. 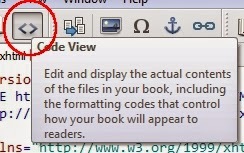 I have covered how to split a chapter using this button in yet another post. I DO NOT recommend using the ‘fix automatically’ option. Sigil will try its best to understand your html but will probably make a poor guess as to your intentions. Best to click ‘No’ and go back, find the error, and correct it yourself. It might be a nuisance, but at least Sigil is letting you know there is a problem! It is probably best to save fairly regularly (maybe as incremental backups with filenames which are different each time, like fileA.epub, fileB.epub, etc). That way you do not have too many errors to locate at one time! 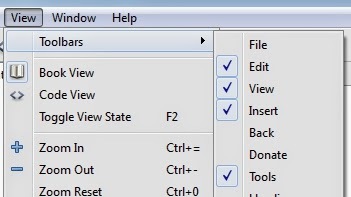 Save the e-pub in your e-book project folder (File menu). Make sure the filename is a single text string with NO SPACES. Next Steps: Now you have a blank e-pub file, you are ready to import the marked-up MS Word file into it as unformatted text. (Click here to see my post on how to mark up your file.) Subsequently you will create a CSS stylesheet and then use CSS styling to re-apply the formatting from the original Word file.